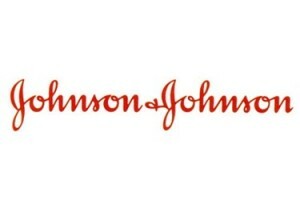 Johnson & Johnson lost its 5th talc-powder trial. This week, a Missouri jury ordered Johnson & Johnson to pay more than $110 million to a woman who says she developed ovarian cancer after decades of using the company’s talc-based products. This is the largest settlement yet in a surge of suits accusing the world’s largest health-care company of withholding information about cancer risks. Early last year, Johnson & Johnson made headlines when the company went up against a 72 million dollar lawsuit. The baby powder lawsuit was filed by the family of a deceased woman who’s ovarian cancer was linked to the use of the product for feminine hygiene. As the year came to a close Product liability judgments against J&J totaled nearly $2B in the last year. J&J lost 6 out of 7 product liability claims in 2016. The cases have been noted as the largest jury verdicts over product defect claims in America. Nearly $200m was set to go to judgments related to baby powder cases. In fact, Johnson & Johnson lost three straight trials where a judge found that their talc-based products caused ovarian cancer. J&J has argued that there is no such cancer risk. Citing that comprehensive studies show link between the products and cancer. As the number of legal cases again J&J continue to grow, the chances of you qualifying for compensation avails. If you or a loved may have endured pain, suffering, or death due to J&J’s Baby Powder and Shower to Shower products you could be entitled to financial compensation. The Medical Claim Legal team can connect you with the money that you deserve. Get connected with a dedicated attorney today. A common household item, talcum powder (baby powder) has recently made headlines involving a 72 million dollar lawsuit against Johnson & Johnson. The baby powder lawsuit was filed by the family of a deceased woman who’s ovarian cancer was linked to the use of the product for feminine hygiene. The Johnson & Johnson baby powder lawsuits have reached upwards of 1,200 still-pending cases. Jackie Fox of Birmingham, Alabama was diagnosed with ovarian cancer roughly two years before her death. At the time of her passing in the fall of 2015, she was involved in a 60-person lawsuit against Johnson & Johnson, where her son took over as the plaintiff. The lawsuit resulted in the company owing Fox $10 million in actual damages, and $62 million in punitive damages. 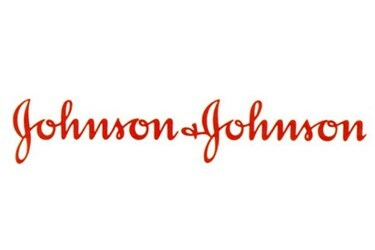 According to an AP article, the verdict “doesn’t bode well for Johnson & Johnson” as there are over 1,200 still-pending lawsuits and thousands more are expected. The ingredient talc, in baby powder, had once contained asbestos which was extremely dangerous and there is speculation of some contamination in the product, but modern baby powder is reportedly asbestos-free. Although the modern powder is “safer” there were dozens of women who sued Johnson & Johnson according to USA Today. The cause and effect relationship between the baby powder and ovarian cancer is somewhat inconclusive according to an ABC News article about the subject, but there are thousands of lawsuits against Johnson & Johnson regarding this matter. A consultation with our lawyers at Medical Claim Legal is free. We will assure a lawyer with specific training in the consumer protection litigation field is assigned to your case. If you or a loved one have been diagnosed with ovarian cancer that may be linked to the use of baby powder, you deserve compensation. Let us help you start the process towards that claim today.